Houston, we don’t have a problem. We have arts and culture. 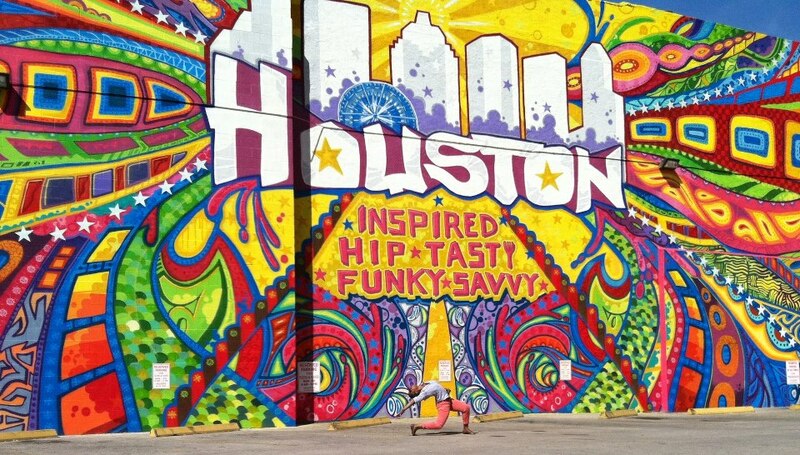 There’s more to Houston than brisket, big oil, and bayous. Houston has another story to tell. The story of how this city has become a mecca for some of the best arts, culture and food in the country. We have a winning combination of creativity, diversity, innovation and resources to be named Forbes’ “Coolest City.” Thousands of people come here every year ON PURPOSE to experience everything Houston has to offer. Thousands more will visit, especially now that The New York Times marked Houston #7 on its “Places to Visit in 2013” list (along with Instanbul at #10 and Paris at #46). (True story.) Well, hello, Houston. That’s something to brag about. And that’s how “Houston is…” was born. They did approximately 7,000 tons* of research and figured out that visitors LOVE Houston for two things above all else: culture and cuisine. They created a spectacular national advertising campaign to share that news with the world. And when folks working in Houston’s arts and culture community** heard the statistics and saw the campaign, they did a collective dance of joy and adopted “Houston is Inspired” as a unifying mantra for an unprecedented regional effort to celebrate our creative capital. We’re ready to let the world know that our special BBQ comes with an extra side of awesomesauce. And a bottle of champagne. 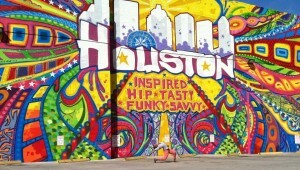 our gal pal Courtney D. Jones at the Houston is Inspired mural. Best pic of the event. We thought it needed a little extra flair, too.